The Lok Sabha passed by voice vote the Rights of Persons with Disabilities Bill, 2014, which makes accessibility a mandatory requirement. The bill, which replaces the Persons with Disabilities (Equal Opportunities, Protection of Rights and Full Participation) Act, 1995, has been brought in to comply with the UN Convention on Rights of Persons with Disabilities, which India signed in 2007. The Lok Sabha today passed “The Rights of Persons with Disabilities Bill – 2016”. 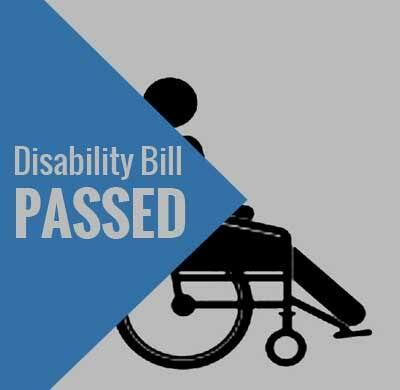 The Bill will replace the existing PwD Act, 1995, which was enacted 21 years back. The Rajya Sabha has already passed the Bill on 14.12.2016. Disability has been defined based on an evolving and dynamic concept. iii. Speech and Language Disability and Specific Learning Disability have been added for the first time. Acid Attack Victims have been included. Dwarfism, muscular dystrophy have has been indicated as separate class of specified disability. 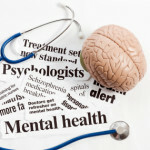 The New categories of disabilities also included three blood disorders, Thalassemia, Hemophilia and Sickle Cell disease. iv. In addition, the Government has been authorized to notify any other category of specified disability. v. Responsibility has been cast upon the appropriate governments to take effective measures to ensure that the persons with disabilities enjoy their rights equally with others. vi. Additional benefits such as reservation in higher education, government jobs, reservation in allocation of land, poverty alleviation schemes etc. have been provided for persons with benchmark disabilities and those with high support needs. vii. Every child with benchmark disability between the age group of 6 and 18 years shall have the right to free education. viii. Government funded educational institutions as well as the government recognized institutions will have to provide inclusive education to the children with disabilities. For strengthening the Prime Minister’s Accessible India Campaign, stress has been given to ensure accessibility in public buildings (both Government and private) in a prescribed time-frame. Reservation in vacancies in government establishments has been increased from 3% to 4% for certain persons or class of persons with benchmark disability. The Bill provides for grant of guardianship by District Court under which there will be joint decision – making between the guardian and the persons with disabilities. xii. Broad based Central & State Advisory Boards on Disability are to be set up to serve as apex policy making bodies at the Central and State level. xiii. Office of Chief Commissioner of Persons with Disabilities has been strengthened who will now be assisted by 2 Commissioners and an Advisory Committee comprising of not more than 11 members drawn from experts in various disabilities. xiv. Similarly, the office of State Commissioners of Disabilities has been strengthened who will be assisted by an Advisory Committee comprising of not more than 5 members drawn from experts in various disabilities. The Chief Commissioner for Persons with Disabilities and the State Commissioners will act as regulatory bodies and Grievance Redressal agencies and also monitor implementation of the Act. xvi. District level committees will be constituted by the State Governments to address local concerns of PwDs. Details of their constitution and the functions of such committees would be prescribed by the State Governments in the rules. xvii. Creation of National and State Fund will be created to provide financial support to the persons with disabilities. The existing National Fund for Persons with Disabilities and the Trust Fund for Empowerment of Persons with Disabilities will be subsumed with the National Fund. xviii. The Bill provides for penalties for offences committed against persons with disabilities and also violation of the provisions of the new law. xix. Special Courts will be designated in each district to handle cases concerning violation of rights of PwDs. The New Act will bring our law in line with the United National Convention on the Rights of Persons with Disabilities (UNCRPD), to which India is a signatory. This will fulfill the obligations on the part of India in terms of UNCRD. Further, the new law will not only enhance the Rights and Entitlements of Divyangjan but also provide effective mechanism for ensuring their empowerment and true inclusion into the Society in a satisfactory manner.